Browse: Home » Housing Meeting Blocked in Bridgeton! Glasgow Games Monitor 2014 housing meeting blocked by Bridgeton Community Learning Campus (BCLC). “It has come to my attention that you have a booking with us for Tuesday the 18th March. The staff who took your request to hire our facilities were under the impression that it was a rep meeting for Unite Union and i have since discovered that this is not the case. Bridgeton Community Learning Campus pride themselves in raising the hopes and aspirations of our community and it’s residents and on this occasion the Board of Directors have decided that your public meeting does not fit the criteria for this. To date i have had no complaints or concerns in regards to a housing crisis, however, If this was the case then Bridgeton Community Learning Campus would seek to involve the appropriate parties in order to deal with it as amicably as possible without creating unnecessary unrest. 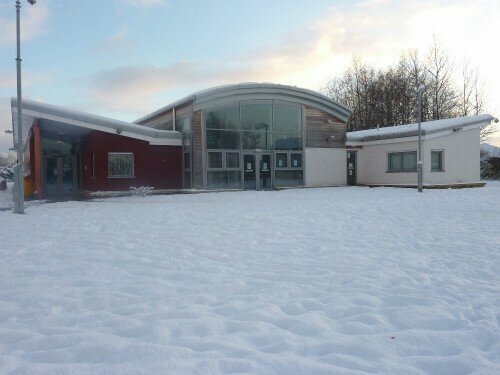 Bridgeton Community Learning Campus apologise for the late cancellation of your booking“. 1. At no point did we say it was a rep meeting for Unite Community Union. We told the centre it was a public housing meeting organised by Glasgow Games Monitor 2014 and Unite the Community Union. We could not have been more clear. Why would we need to book the full hall for a rep meeting? Also, in our initial correspondence with staff at the centre we were asked how many chairs we required for our public meeting. This question was recently asked again when we put up a poster in the centre itself. This makes it abundantly clear that the nature of the event was transparent and understood by the staff who were helpful and friendly in discussion. The response from the board above is a complete misrepresentation. 2. The term ‘housing crisis’ refers to a widespread situation at a local, national and international levels, it is to do with the massive reductions in social housing and the expansion of private sector housing. Between 1981 and 2006, for instance, Glasgow lost 60,000 social homes and added 60,000 private homes. It is to do with punishing rents, gentrification, the expansion of personal and national debt, demolition and displacement. The National Housing Federation say that half of all people’s disposable income is taken up by rent, in ten years time this will rise to 57%. We will be doing a primer on housing in the East End and Glasgow very soon which will lay out what we mean by ‘housing crisis’ much more clearly. All this is widely understood by the mainstream media and by organisations and charities such as the Scottish Tenants Organisation, Shelter, Child Poverty Action Group and the National Federation of Housing. The list could easily be extended but the point should be obvious to anyone – apart, that is, from the extremely complacent Board of Directors at BCLC. But then maybe housing isn’t a worry for recent directors at BCLC, like disgraced Ronnie Saez who was handed a £500,000 severance package from the now defunct Glasgow East Regeneration Agency (GEAR) allegedly set up to tackle poverty in the East End. Or, one time director, George Redmond, the Labour Councillor for Calton who told Margaret Jaconelli to “take it on the the chin” when 100 police officers violently evicted her from her home to clear the way for the Games Village. We have previously taken to task duplicitous claims about housing provision through the Commonwealth Games and Clyde Gateway. Clyde Gateway have claimed they will build 10,000 homes in the East End but when we pressed them they said they had made the figure up to obtain more public funding and had no idea how many of these imagined homes would be for social rent. Surely this merits wider debate? These seemingly locally specific questions cannot be isolated from the wider housing crisis which we refer to above, and this is precisely what we wanted to begin discussing at the meeting. The complacency reflected in BCLC’s response is indicative of a wider malaise in ‘community’ organisations across the board which (with some honourable exceptions) have long since been incorporated by property-led ‘regeneration’ agencies losing their critical bite in the process. Of course, one person’s housing crisis is another persons rental profit, but it is clear that housing tenure and costs have a disproportionate effect on underprivileged areas such as the East End of Glasgow and that ‘crisis’ is a legitimate term to use in this context. 3. The reference to “raising the hopes and aspirations of our community and it’s residents” is one that is shared by Glasgow Games Monitor 2014 and Unite Community Union. Part of this process, as we see it, is to encourage and where possible, to facilitate critical debate, discussion and action-taking by residents on key issues like housing, particularly at the present moment, when the area is undergoing enormous social and urban change through the Commonwealth Games and Clyde Gateway. The response from the gate-keeping BCLC makes clear the grim reality that to even suggest an independent, relatively small scale, public meeting designed to facilitate discussion among residents is being interpreted as a source of ‘unnecessary unrest’. Why? The centre’s mail suggests that if a housing crisis does exist they would seek to involve “appropriate parties” in order to deal with it locally. We do not claim to designate which parties are ‘appropriate’ for this task and do not understand on what basis they can do so in this instance. From our independent point of view the allegedly ‘appropriate parties’ are actually part of the problem in a wider wave of housing privatisation. One of the reasons we tried to organise the meeting is because we feel there is a lack of opportunity for residents to do the important work of asking critical questions about housing in settings that are not mediated by the same parties that are initiating ‘regeneration’ strategies. We believe that a central part of any participatory and accountable democracy involves residents themselves, and independent groups such as ourselves, acting as ‘appropriate’ participants without waiting for consent from gatekeepers of the public interest. It is important to note here that the Commonwealth Games and Clyde Gateway are regularly portrayed as providing city-wide and even national ‘legacies’, and that the (already over-budget) public subsidy which provides the motor for these (largely private) developments is taken from the pockets of every person in Glasgow and Scotland. This is not just an issue for Bridgeton Community Learning Campus it concerns us all. We are deeply angry about the policing of genuine debate and dissent by the Board of Directors in Bridgeton Community Learning Campus. Given the scale of the housing crisis and the negative impacts this has, particularly for those in poverty, and increasingly those in working poverty, the ‘appropriate’ channels are clearly not working. This was precisely the basis for organising a public meeting on housing in Bridgeton. The meeting would have involved widely published speakers, some of international standing in housing scholarship and urban regeneration, others who have been involved in housing campaigning with public and social housing tenants for many years. Another thing that is important to point out is the dire lack of community facilities in the East End. Successive waves of budget cuts and demolition programmes, the privatisation of Glasgow’s cultural resources and amenities, and the incorporation of community organisations within ‘regeneration’ frameworks means that there are very few places to hold open, critical public meetings – a basic hallmark of democracy. This is an indication of the real results of ‘regeneration’ and a wider issue of democracy that needs to be tackled head on. That we take a more critical line regarding the alleged benefits of ‘regeneration’ should come as no surprise. Regeneration, which is just a sugar-coated euphemism for gentrification, routinely means less social housing and less housing overall as private developers move in for the kill – typically propped up by large amounts of public subsidy through quango’s like Clyde Gateway. What must be stressed here is that we have no problem with the staff at BCLC who have been helpful throughout, including their faciliation of a previous meeting we held in the centre on November 16th 2013. Our problem is with the Board of Directors who have denied us and the wider public the opportunity to enter into an open discussion about social housing provision in the East End of Glasgow at a time when hundred of millions of pounds are changing hands in land and property deals with very little outcome for social housing tenants. We hope in making this statement public, including the BCLC response to our booking, that we can finally instigate a wider discussion about social housing and genuine community engagement in the lead up to the Commonwealth Games and over the duration of the 20-year Clyde Gateway project. One thing has been clear for some time in numerous large-scale regeneration projects – very little, or nothing at all, will come to those who wait for benefits to be delivered from above. The cancellation of our meeting shows that discussion ‘from below’ will be met with resistance from the guardians of the status quo and private property interests. But we will not be shut down and we will continue to challenge the myths of the Commonwealth Games and Clyde Gateway. We aim to organise another housing meeting very shortly in an alternative venue.